My name is Brian Richardson. I normally do presentations on behalf of a tiny company called “Intel” where I try to make computer firmware sound interesting. Fortunately for you, today’s presentation has nothing to do with that. Over ten years ago I accidentally started a project known as Dragon*ConTV. I know the “accidentally” part sounds like an exaggeration, but it’s true. We had absolutely no idea what we were doing, how much work it would take or how much fun it would be. What I want to do today is describe how a handful of volunteers built a community around ten years of making videos in my basement. I also want to share what we’ve learned about social media, how it helps us connect to our audience and how it connects us to one of the world’s largest science fiction and fantasy conventions. But first, a little background … to understand Dragon*ConTV you first have to understand Dragon*Con. The first Dragon*Con was held in 1987 and drew about 1400 fans. Like a gawky teenager bitten by a radioactive convention organizer, this event morphed into a full service pop media convention covering every aspect of sci-fi, fantasy, comics, novels, television, movies, space exploration and science. In 1989 about 2400 fans attended Dragon*Con. In 1995 attendance had grown to over 14,000. In 2012 that hit 52,000 and it just keeps growing. According to the Robinson College of Business, Dragon*Con’s economic impact on Atlanta in 2007 was $21 million, and an estimated $25 million in 2008. The convention also raises tens of thousands of dollars for charities and hosts one of the largest blood drives in the United States. In 2011 the Dragon*Con blood drive had 2944 donors giving close to 9000 units of blood. Dragon*Con has a dealers room, autograph sessions, costume contests, Q-and-A panels with famous actors, bands and Atlanta’s largest parade with around 3,000 costumed characters. 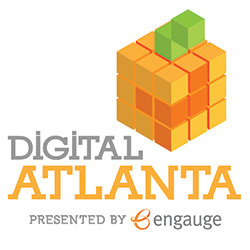 This is a 96 hour event, with four days of almost continuous programming, spanning five of Atlanta’s largest hotels. Let me come back to that attendance number for 2012 … over 52,000 people attended Dragon*Con. Fifty. Two. Thousand. That doesn’t sound like a lot if you compare it to a Falcons game or average tailgating weekend at UGA, but Dragon*Con isn’t a single sporting event. This is where the volunteers come in … Dragon*Con has three paid employees and over 1800 volunteers. That volunteer aspect is how I got involved. In 1998 I attended my first Dragon*Con, back when it only used one hotel and had under 20,000 attendees … ah, those were the days. I had only been in Atlanta for two years and made a few friends volunteering at Freebytes, where I helped recycle and refurbish computers. I knew Jody, one of my friends from Freebytes, was volunteering at Dragon*Con and I might run into him over the weekend. That happened on Day Two. Jody found me after a panel and asked if I might be able to help out. The technical operations staff was short staffed, and Jody knew I could run sound equipment. The convention was fun, but I found being behind the scenes was even better. It wasn’t terribly relaxing, since “short staffed” meant that only six other people were working for TechOps that weekend … but it was exhilarating. After that I was hooked and became a staff member number seven of Dragon*Con TechOps. I ran sound, debugged technical glitches and worked a lot of video cameras. I made friends, helped bring more people onto staff and became part of the family. Now we actually get into the video part of the show. In 1998 the extent of “video services” at Dragon*Con was running a videocamera at major events so people in the back row could see images on a projector. After the addition of a second hotel, Dragon*Con started to take a different approach to using video. Check into any hotel and turn on the TV. What you see? A hotel TV channel. They run that from somewhere in the basement to every room in the hotel. Most of the channels are assigned to TV channels or pay-per-view services. If you’re a convention using a hotel space, you can use that channel. They’ll typically use it to play a VHS tape or DVD on a loop. Dragon*Con needed the hotel TV to solve a different problem. Check the hotel map for Dragon*Con over the years. When I started in 1998, we only used the Hyatt and a little bit of the Atlanta Apparrel Mart. The largest ballroom in the Hyatt seats about 2,000 people. What happens when a convention of 20,000 fans want to attend the same event? You end up with a mix of fire code violations and crowd control issues. Turns out a convention full of tech geeks can run a bit of cable and send live video to a hotel control room. Shortly after I came on board we started using one of the hotel’s dark channels to broadcast Dragon*Con’s largest event … the Masquerade costume content. During the day, there are several events for people to attend. Once you hit the last night of the con, the Masquerade is the big show. As Dragon*Con grew so did the need for hotel space. We added the Marriott a few years after I came on board. Now we needed to stretch that cable between two hotels. I won’t bore you with the technical details, but it turns out connecting two hotels with the same live broadcast on a volunteer-organization budget is a big problem. And, as the video-guy on TechOps, it quickly became my problem. But the engineer in me saw more than a bunch of cables running underneath hotels … I saw wasted bandwidth. Here’s a channel the convention reserves for an entire weekend, and it gets used for two or three hours. We knew something could be done here, but we didn’t know quite what. We had to do something because the convention kept getting bigger. Now we’re up to 2002, where a few people had a silly idea. This is where three people decided to make a video. By now I had recruited extra help for running video at Dragon*Con. I was still an all-purpose TechOps staffer, running sound and fixing the technical gremlins that haunt large events. But I was also “that video guy”, forming a small crew of video nuts to run cameras and record major events. The Masquerade was now a multi-camera event with hints of real production value. … well, they just sit there. 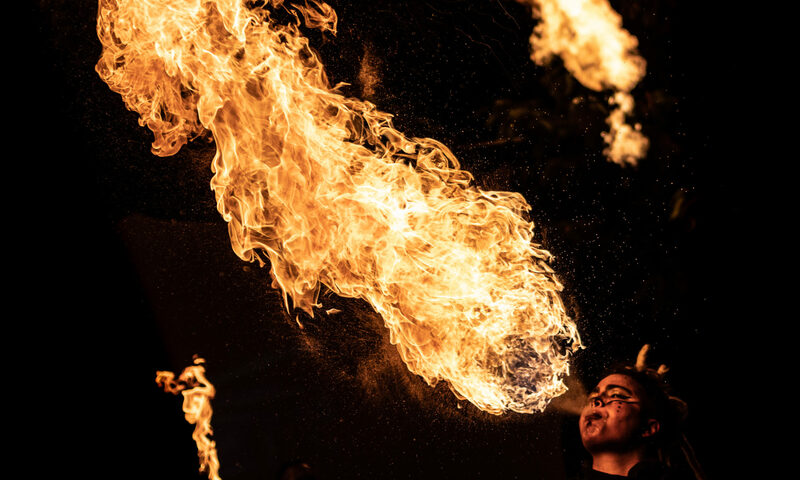 We’re here to put on a show, so those people need to be entertained. People were always handing me movie trailers and weird promo videos to play. That just didn’t seem right. They were related to why people came to con, but didn’t come from the con. They weren’t part of the culture. So on Thursday, the day we setup the convention, my friends Patrick and Lucas show up from Nashville. They have a computer. They want to make a video. Specifically, they want to make an introduction for the hosts of the Masquerade. The Masquerade is on Sunday. Did I mention it’s Thursday? We have an entire con to run, and they want to make a video in their spare time. Well, it became our spare time, because I thought it was a great idea. Yes, I’m crazy like that. I wrote a script and they got to work rendering a parody of the Star Wars opening crawl. We got it done two hours before the Masquerade, and it was a big hit with the audience. … except we can’t find it. That was ten years ago, and it was a one-off video. But it was great, just trust me on that. The convention director loved it. Then he asked what we were going to do next year. Yes, welcome to the trap of the volunteer. Create more unpaid work for yourself by exhibiting skills. Except we thought it was great! Seriously. Patrick and I had been dabbling in comedy and video production for years. We had a captive audience before Dragon*Con’s biggest show. A few months before the 2003 convention, Patrick started figuring out the intro and I created a small crew to start brainstorming ideas. So remember back about ten years ago when you would go to the movies, and they didn’t show expensive Coke ads. I know your kids won’t believe you, but that time was filled with still image ads for local businesses. Yes, back in my day, we had crappy PowerPoint before we went to the movies. And we liked it! So that was our intro idea … except they weren’t real products. We had a room full of sci-fi nerds … my people. Fans who get odd references to old shows. They’re creative folks who came to Dragon*Con for something different. So we decided to give it to them. Parodies that mashup the “real world” with sci-fi and fantasy. Strange to think that this was the start of building a community. Volunteer groups are weird. Most of us are used to small businesses or corporations, where the motivations are pretty clear … people want to work and get paid. The world is driven by enlightened self-interest, but for a volunteer it’s not always clear why they give up time to do really hard work. When I volunteered at FreeBytes, I had a clear set of goals. I wanted computers out of landfills. I wanted charities to get the computers they needed without spending a lot of money. I wanted to teach volunteers how to fix computers as a way to develop their job skills. That’s a bit different from making silly videos. That doesn’t look like a community building exercise. But for everyone volunteering at Dragon*Con, it fit perfectly. The people I volunteer with want to put on a show about what they love. Sci-fi fandom can be pretty solitary. Before the internet became the best way to connect on similar interests, you did it in person at a convention. That personal connection made all the difference. What we did here was push another button … people who love a thing also love to make fun of it. Fans saw a few people do it at “their con” and they wanted to see more. Other people wanted to make more. So in September of 2003 we bought a domain name, setup a mailing list and started a plan for our 2004 videos. The basement of my new house became a studio and we got to work with a small group of TechOps volunteers. The 30 minutes before The Masquerade, the biggest event at Dragon*Con, were ours. We made some fake news segments, trying hopelessly to be The Daily Show … but we also made more fake commercials. Now remember, this was 2004. The most high-tech way to stay connected was phpBB or an e-mail list. Pre-production was inviting people over to my house, even if they lived out of town. My house is in Loganville, so *everyone* lived out of town. Having a great barbeque restaurant near my house made things easier, but our social network was my living room. We did have an advantage building off of the Dragon*Con and TechOps. Dragon*Con had regular staff meetings, and TechOps was big enough to start building its own web-based message board. We shamelessly piggy-backed off of their infrastructure, since that’s where the staff was already hanging out. What we did with Dragon*ConTV centered around Dragon*Con. We were building something for the convention, so it needed to tie into the convention. We established our methods & infrastructure before the term social media existed. Think about the social media landscape when we made our first video in 2002 … there wasn’t one. Live Journal is a blogging platform. Friendster and MySpace were designed to connect people to other people. Plus MySpace was kind of … ugly. Seriously. I had a crappy looking webpage filled with animated GIF’s back in the 90’s and I saw no reason to go back. Even when YouTube launched in 2005 we weren’t drawn to it. The video quality was terrible. I know our stuff is pretty low budget, but it looked a lot worse on YouTube. Each new “cool place to be” would pop-up and people would flock to it before even understand why they needed to be there. So the question in 2004 & 2005 wasn’t if we wanted to use social media … it was why bother using social media? What would these new sites do for us? Aside from cool buzzwords, what did we need from social media? The interesting thing about our evolution is that is happened in parallel with many of the large social media sites. 2005 was really the year that Dragon*ConTV figured out what it wanted to be and how it fit into Dragon*Con. We had settled on our preferred video formats. We set time restrictions for our content. Our videos were starting to play in front of more events. People wanted to see videos they may have missed. We wanted people to watch the little bits of education and “how to behave at con” lessons that sneak into our videos. In 2005, the model that best fit our content was podcasting. Not very social. Podcasting is a push model that goes one way … out. We produce content, and this was a good way for people to consume it. We advertise the links our website and people subscribe. The trend setter for us wasn’t Friendster or YouTube … it was Apple. The 5th generation iPod came out in October 2005 and iTunes set the defacto standard for podcast video. Our social community was a room full of real people. We made the videos for those people, not for the web. That’s pretty obvious in some of our videos. After a few years of nasty static webpages, we moved to WordPress. RSS became the bullhorn for our website … and RSS is pretty awesome. You can attach all kinds of stuff to an RSS feed, and the right WordPress plugin handles the media attachments. iTunes, Google Reader, Web Browsers. The best part for us was driving people back to the website. It didn’t make much sense to throw content all over the web. We wanted people coming back to a central point. That’s a bit of my practical engineering side colliding with my experience in marketing. If this was a business, I would have some clever message about “brand recognition” and driving customers to our business. But we’re a weird bunch of people. Dragon*ConTV is all volunteer. We don’t try to make money off of our work. For some people, this is fun. For others it’s a way to build skills … acting, writing, editing … and turn a passion into a career. No matter the motivation, it’s *our* work for *our* con. So the philosophy is bringing people back to our site. Yes, share with your friends … especially if they’re working in the entertainment business. But don’t forget where it came from. And if the story stopped there, I wouldn’t have much to say about social media. We could stop now and go straight to the bar … but the internet has changed, and so have we. Don’t worry, I’m eager to hit the bar. But we have to talk about where Dragon*ConTV fits into today’s tangle of social media, otherwise it’s not networking … it’s just drinking. And that’s sad. Social media had a impact on Dragon*Con and Dragon*ConTV, especially over the past four years. You can’t ignore social media, but it doesn’t necessarily change your core product. Yes, we’re not a “company” but we do have a product. However, our “product” is content that connects the attendees of Dragon*Con. Those people are tech savvy and use a lot of social media. Dragon*Con has grown on LiveJournal, Facebook & Twitter. These social media sites have become better at connecting organizations to people, instead of just connecting individuals. Plus many of the reservations we had about these tools have gone away over time. Our three key social platforms are Facebook, Twitter and YouTube. It’s much easier to integrate these sites with social media, thanks to WordPress plugins and native cross-posting support. We’ve also been experimenting with tools like IFTTT, which handle “if this then that” rule sets for cross-posting. Mobile access it also a big driver. Each service has great reach on smart phones, tablets and whatever portable devices my friends at Intel are dreaming up right now. Content sharing is easier with these platforms. Facebook’s Fan Pages are a big deal, since we’d be breaking Facebook Terms of Service if we pretended Dragon*ConTV was an actual person … since we started in 2002, we’re not 13, so that would be wrong. YouTube started taking high-definition content in 2009, so posting to the world’s top video sharing site doesn’t make our content look bad. In fact, our content on YouTube is uploaded at a higher resolution than our RSS podcast feed. YouTube scales video quality as it streams, which is something you can’t do with a podcast feed. The other thing that changed was how integral Dragon*ConTV was to Dragon*Con. I became videography director in 2005. We didn’t really have a videography director before that. We had someone with the title, but all they really did was make a highlights DVD for the convention … and I hate to say it, but it wasn’t very good. Videography didn’t become “official” to make Dragon*ConTV part of the con, it was needed to connect video to the convention. Those dark hotel channels were very important to the growth of the convention … Getting video into hotel rooms is a huge element of crowd control at Dragon*Con. TV becomes a social network that rebroadcasts over-capacity events and replays events people missed because they were up against other major events. We can run entertainment for people while they take a break or change costumes … again. Plus we can sneak our little education-disguised-as-comedy videos into their hotel rooms. The best part of social media is … well, social. Conversations. Building the community that creates Dragon*ConTV requires conversations with our writers, editors and actors. But this is a fan endeavor for an event that is all about fandom. Fans get very involved in sci-fi and fantasy. If you don’t believe me, look for people that are still mad about FOX cancelling Firefly. Plus the Dragon*Con guests are on Twitter and Facebook. Twitter is more popular with “stars” because it’s an easy way to get their voice online … it’s more of a bullhorn, but it does allow for conversation. Facebook is good for more engaged feedback … more conversation. Dragon*Con guests typically have have fan pages or personal accounts. The guests that draw well are the kind that engage with fans on their own. If you don’t believe me, look up George Takei and see how’s he using social media. Tying them into Dragon*ConTV is another way we can spread the word about Dragon*Con. These folks want to be involved. And they’re collecting on a site like Facebook or Twitter that encourage conversation. So we drive them back to our content through these sites. And that gets us a lot of feedback. We’ve essentially created three social spheres, based on distance from the convention. One exists before the con, one during the con, and one after the con. Each one made us revisit the question of what we needed from social media. We get feedback during the con, especially when there’s a problem with the hotel TV setup. We get feedback after con, with people letting us know what went wrong and what went right. And we get lots of feedback before Dragon*Con, especially when they give us video ideas. Dragon*Con uses its social media much the same way, so this is in line with what the rest of the organization does with sites like Twitter & Facebook. So, what have we learned over ten years? Drive people back to your “brand” … event? content? website? You can’t herd people on to a specific social media website … Look around, find out where “your people” are being social, and be prepared to change. I’m sure if I do this presentation five years from now we’ll have something new to share about engaging with fans, volunteers and the convention community. Thanks for attending and I hope to see you all next year at Dragon*Con.